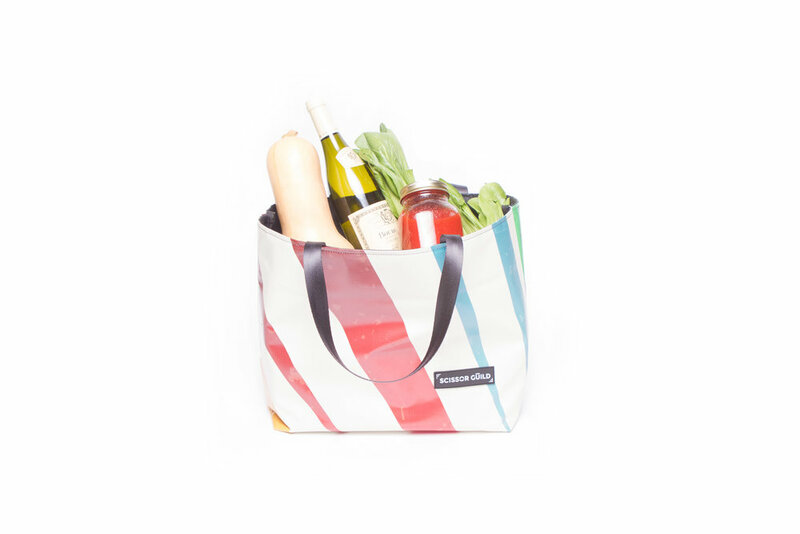 A colorful alternative to a regular cotton tote and a stylish way to practice sustainability. 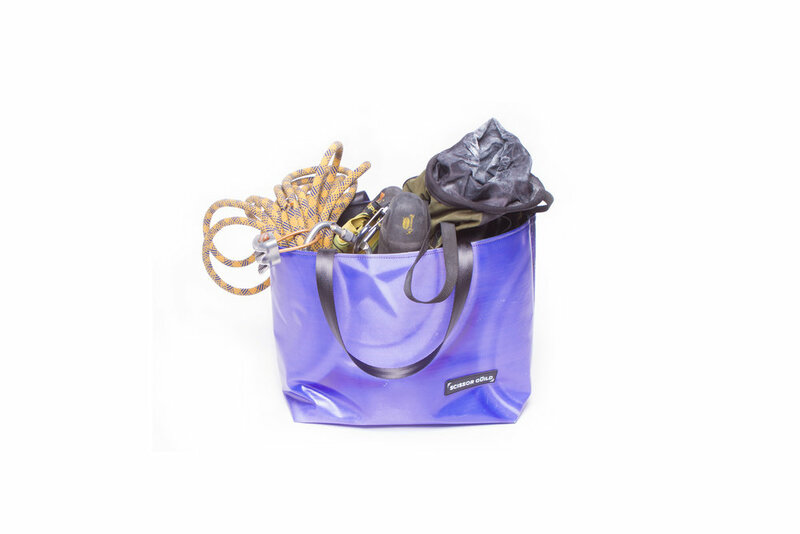 Each mix material bag is made from upcycled banners originally used in local festivals and events, and no two are alike. With a flat bottom and sturdy tarpaulin lining, this bag is perfect for grocery shopping and weekend errands. Features an internal zippered pouch with clear vinyl compartments and handles made from seatbelt material. Disclaimer** Every up-cycled bag may show some wear and tear signs. This is due to their previous life as a promotional banner in outdoor festivals. We are not responsible for any of those marks. They are part of the material lifecycle.